–Paso Robles-based advertising and marketing company Access Publishing this week promoted staff writer and copyeditor Skye Pratt to managing editor. Scott Brennan, CEO of Access Publishing, brought Pratt onto the team in March of 2015 to help create and edit news stories for the Paso Robles Daily News, the San Luis Obispo County Visitor’s Guide, as well as to create press releases, blogs and web content for online marketing clients, and copy edit many of the other publications released by the company. 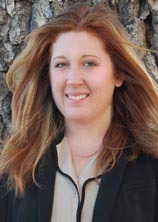 In Pratt’s new position, she is managing a staff of over 10 staff and freelance writers for the Paso Robles Daily News, the A-Town Daily News, Templeton Community Guide, The San Luis Obispo County Visitor’s Guide, and others. Pratt also manages content creation for websites and manages the creation of press releases and blogs for local search clients. Pratt has always had a passion for writing. She also enjoys painting, ceramics, and other creative endeavors. Pratt also teaches painting and craft classes throughout the county with her side business, Paint Party.